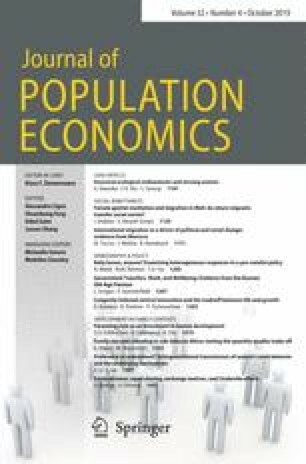 Two recently improved sets of cross-country panel data are combined in order to re-examine the effects of population growth and fertility on economic growth. Using a 107 country panel data set covering 1960-85, we find that high birth rates appear to reduce economic growth through investment effects and possibly through “capital dilution”, although classic resource dilution is not evident in the data. Most significantly, however, birth rate declines have a strong medium-term positive impact on per capita income growth through labour supply or “dependency” effects. We are very grateful to Allen Kelley for his careful and thoughtful comments on an earlier version of this paper (Brander and Dowrick 1991) which led to a complete re-estimation of our models using updated primary data and reconstructed secondary data sets. We are also grateful to three anonymous referees for very helpful comments. This research was begun while Brander was a Visiting Fellow at the Department of Economics, Research School of Social Sciences, Australian National University. Revisions were carried out while Dowrick was visiting the Department of Economics, University of Warwick. Research assistance was provided by Tracy Tiong. Financial support from the Social Sciences Research Council of Canada and UBC Centre for International Business Studies is gratefully acknowledged.